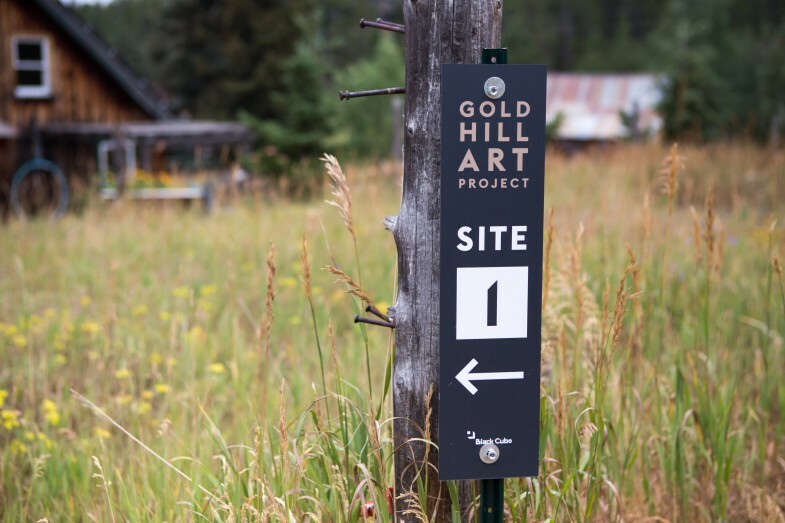 The Gold Hill Art Project brought together a series of site-specific contemporary art installations situated in cabins and gardens in the historic mining town of Gold Hill. Three Black Cube Artist Fellows – Molly Berger, Jennifer Ling Datchuk and Eric Stewart – created new works that responded to the local history and surrounding landscape. Collectively these installations brought together layers of the past and present in a walking art tour, providing visitors with an alternate way to experience this unique place. Molly Berger is an artist based in Denver, Colorado. 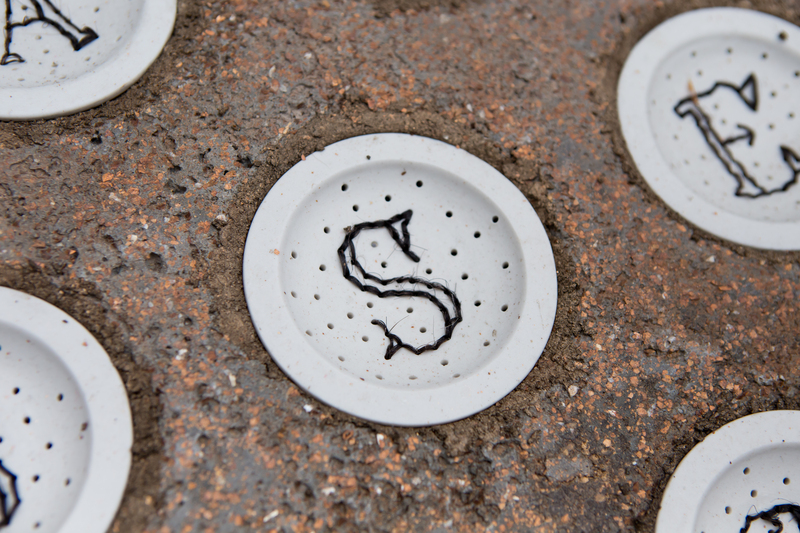 She works in sculpture and installation, often using ceramics and found materials to create works that explore the ways in which precious memories can cling to otherwise unremarkable things. Molly created a series of porcelain and gold sculptures inspired by mining tools and objects from domestic life, dating from the town’s mining boom in the late 19th Century. These fragile tools were installed on the outside of a historic cabin and brought to mind things like gold pans, lamps and rug beaters. 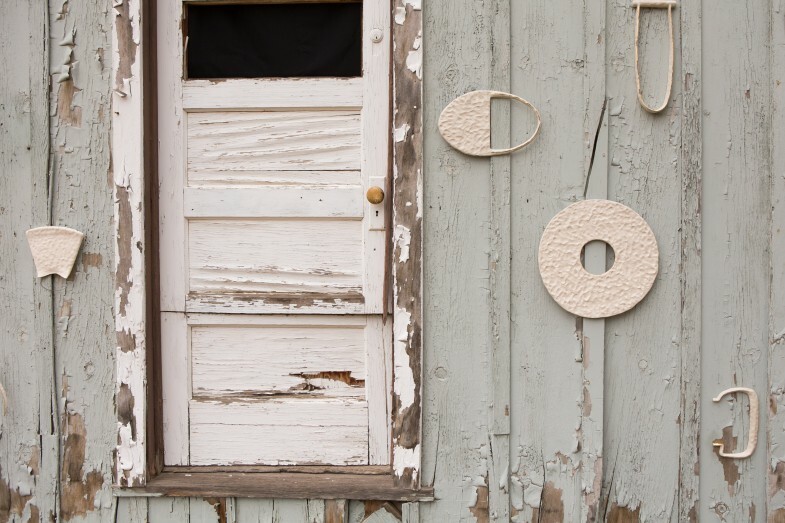 The act of taking a useful object and displaying it on a wall is a familiar sight in Gold Hill. It changes the status of the object from functional to commemorative, practical to decorative, and parallels the town’s transition from a mining town to a holiday retreat in the early 20th Century. 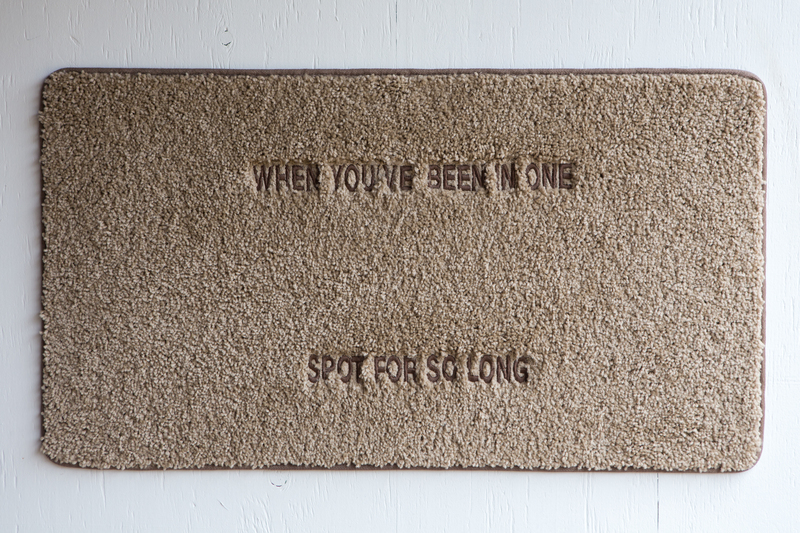 In the cabins’ horse stable Molly exhibited a collection of sentences taken from conversations she had with eight different residents who have long standing connections to Gold Hill. She was moved by the way in which she was welcomed into residents homes and that they shared intimate life events with her. Removed from longer stories, these phrases go to heart of an individual’s relationship to this place. The installation as a whole explored ideas about the things we choose to keep and surround ourselves with. It suggests that objects have many different lives depending on why we decide to hold on to them. Jennifer Ling Datchuk is an artist based in San Antonio, Texas. She is a Chinese American, and the dual Eastern and Western family histories she has inherited are a continuous source of inspiration for her practice. Her work employs different materials ranging from porcelain to embroidery to explore the emotional power of domestic objects and rituals. 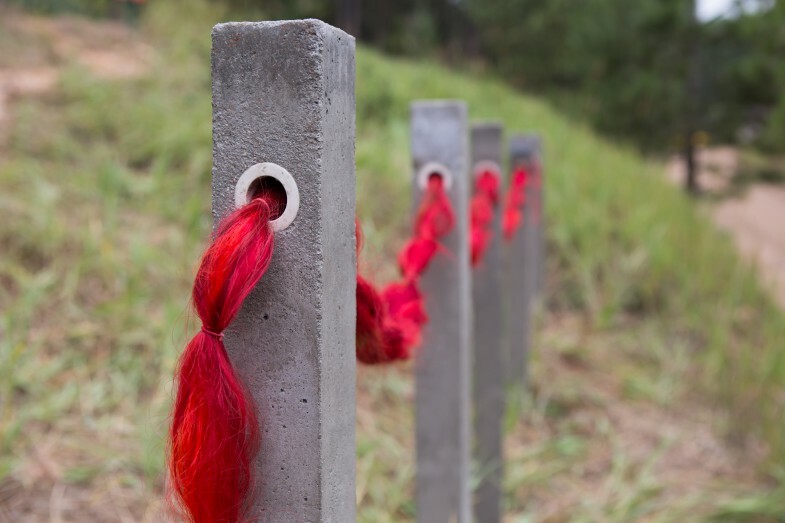 Jennifer’s installation was positioned near the site where a Chinese laundry and bathhouse is reported to have stood in the late 19th Century. For this project Jennifer researched the Chinese involvement in the Gold Rush in Colorado. She looked at how this history has been documented and passed on, and at this distance it can be difficult to separate fact from fiction. Her piece responded to a particular narrative about Asian laborers who worked in laundries because they were forbidden to mine gold, but allowed to clean miner’s clothes. From each laundering of dirty clothing, the Chinese would collect the gold dust that floated in the water and gathered in the drains. This act of washing for residual riches caused the “ Star Crossed Visitors” to be labeled as opportunistic moneymakers. Her monolithic concrete sculpture took the form of a washtub or sink large enough to launder sheets or contain a human body. The fence was made of woven Asian hair. These works stood out awkwardly in there setting and symbolized the displacement of the Chinese migrants in Gold Hill. 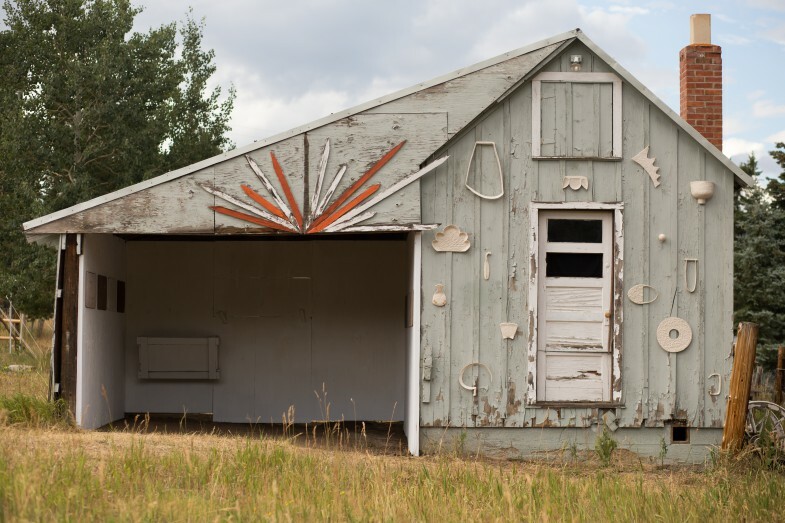 Eric Stewart is a filmmaker and photographer based in Boulder, Colorado whose works investigate time, history and change in the American West. Eric’s project explores the way in which the surrounding landscape has been shaped, altered and documented over the past 150 years. 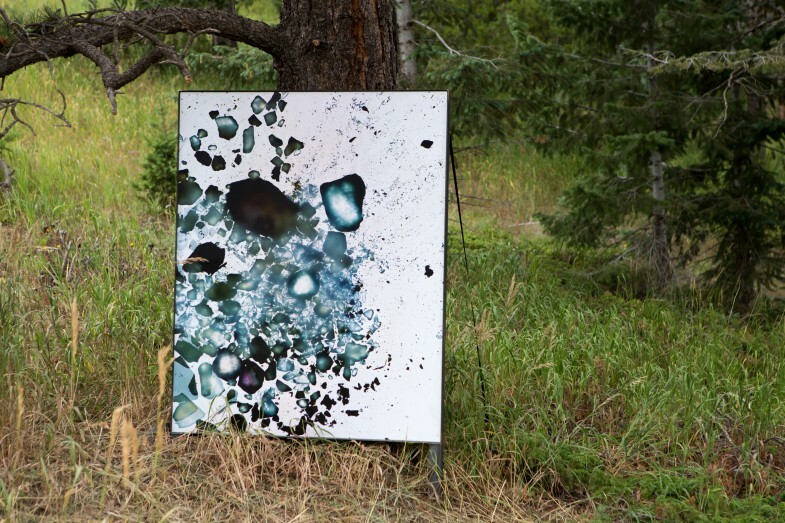 Eric created a series of photograms that were made by exposing local minerals, including gold, quartz and mica, directly onto the surface of colour film. Made without a camera, the photogram is a shadow; it is not the record of an object but a document of the space that the object no longer occupies. 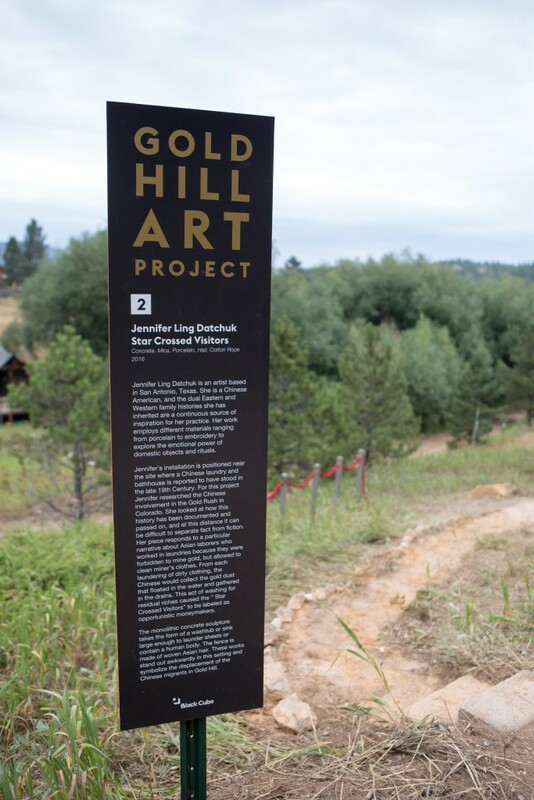 The earthen photograms represented what lies beneath and brought to mind the processes of extracting ore from the ground that define the origins of Gold Hill. Gold was only mined locally for short periods of time from 1858 onwards but the evidence of these excavations is still clearly visible today. 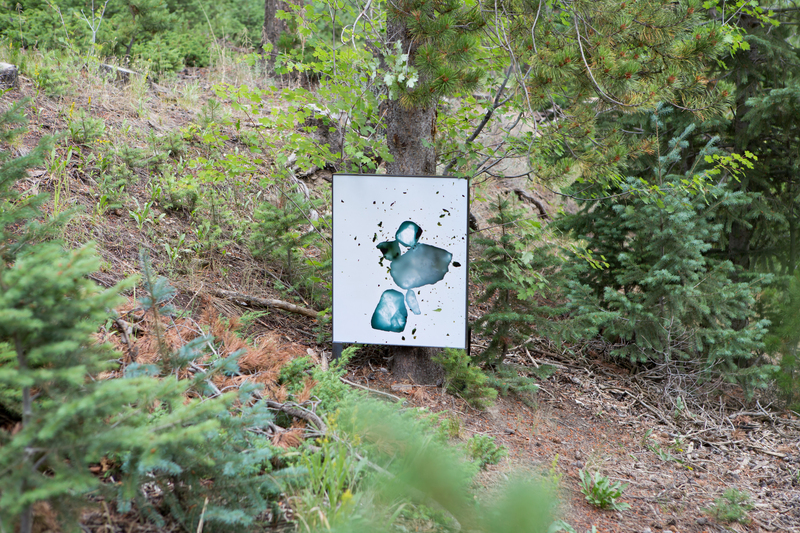 The framed prints were situated on a hillside and suggested a route through the trees. The path continued past the site of an old cabin and a former road and culminated at a mining pit. 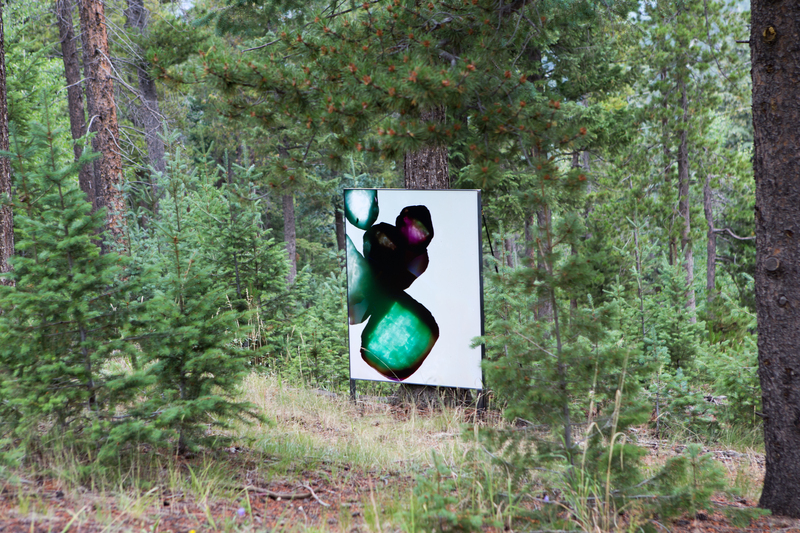 Inserted in the ground and suspended in trees these images captured the disruption of the earth and marked the contours of the past.